It is said that most adults are nothing but children with ID cards and rents to pay. No matter the case, we believe that adults, regardless of their age, deserve some time off from real life and “adult” problems. At first, boarding games seem like a dull and plain idea of spending your free time as an adult. But what about adding shots to each board game, would that make it more exciting? Although we are not encouraging alcohol over consumption, we do admit a glass of wine here and there could settle the mood easier, especially amongst adults. But, getting back to our board games, finding the right ones to play with your friends or family members on a casual night could prove to a difficult task. Believe it or not, there are thousands of board games available all over the world, so finding the best one is not as easy as it may sound. Luckily for you, our following comprehensive shopping guide will give you all the insights you need and help you choose the coolest boarding games available on the market. When it comes to board games you would be tempted to think that they are mainly designed for bored people who don’t know how to have fun or, even worse, for desperate attempts of networking during team buildings. However, we are here to show you that cool adult board games do exist and, moreover, you will be looking forward to testing them out with your friends, colleagues, and family member as soon as possible. 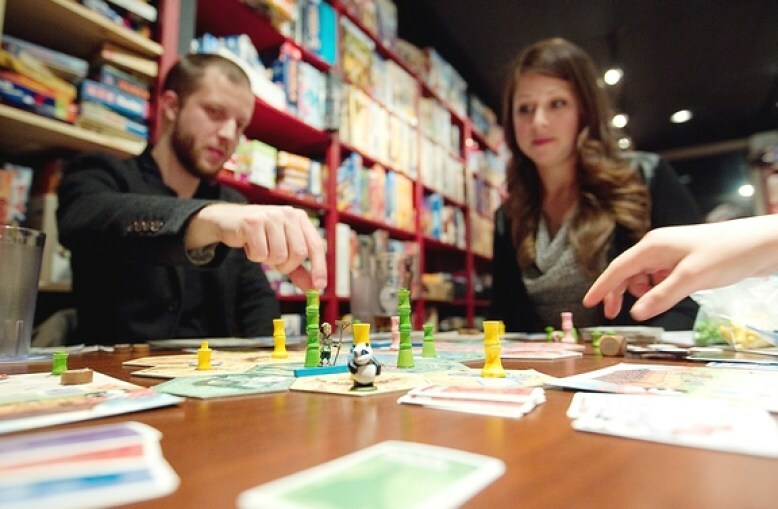 Here are a few ideas about how to make sure you chose the best board games for adults. No matter how much will technology evolve in the following years, one thing is for sure – some of the classic boarding games existing for nearly a century will remain amongst the all-time favorites for everyone. So, if you are looking of terminating some lifelong friendships or even engage into family feuds, there is no better game than the classic Monopoly. Monopoly was long votes as one of the best adult board games in the world and has suffered plenty of modifications and updates throughout the decades. However, we do insist trying out the original version, the one with the metal pawns and the classic properties. If you cannot seem to find a decent “vintage” version of the game, there are thousands of reinterpretations with local properties, as well as special additions with cartoon characters, and more. Keep in mind that a vintage Monopoly game could go for sale for several hundreds of dollars, but prices will grow, even more, depending on the game’s age. 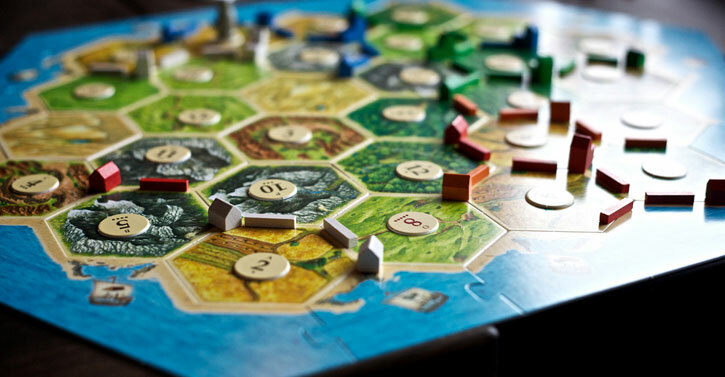 Another classic to keep in mind is Catan, the trade-build-settle boarding game. It comes with various extensions for up to 8 persons. In fact, there are at least 15 expansions and extensions to the original game, depending on the number of players, and the difficulty level. This building strategy game allows you to build bridges, trade materials for armies and fight with other players for the board supremacy. However, the coolest part is that there is even a Star Trek version of the game for all those space passionates. Although classics will remain fun no matter the time, they are also some of the most long-lasting types of board games existing. If you don’t have an entire afternoon to spare for just one round of your favorite game, we suggest opting for some speed versions. You can either check some adult board games reviews to see the opinions of other players or you could trust us when saying Love Letter has become extremely popular ever since its release. This simple game is suitable for both young men and women and could prove a fun and not-so-complicated distraction you can play. The game is quite easy to understand in just a few moments but will certainly catch your interest for a long time from now on. The maximum number of players is 4 and we do suggest playing it with your friends because it can get easily boring in just two players. These games for adults are certainly fun and easy to play and won’t cost more than a dozen dollars. If you are passionate about food and try to find a way to integrate your love for food into the social part of your life as well, then the ‘Sushi Go!’ Is definitely worth a try. This fast-forward game is all fun and laughs, as well as the perfect relaxation method if you’re in a hurry. All you have to do is find and collect the best combination of sushi dishes before your opponents. Last but not least, there are dozens of fun games to play depending on your interests. If you are a fan of the westerns, then Bang! The Bullet Card Game will make a nice addition for you and your friends. This cool game revolves around sheriffs, outlaws, and renegades. Remember that there is no such thing as loyal players in this game. Play it in disguise wearing a cowboy hat or matching thieve scarves. If you are interested in horror movies and everything spooky, we suggest taking a look at the Arkham Horror game. Not quite yet a classic but extremely popular among genre affectionates, this game will need you to help the horrors and mysteries brought about demonic servants of Hell. This is a complex game containing thousands of pieces, from investigator tables to money chips, clue chips, ability chips, common objects, spells, abilities, allies, and more. The objective of the game is to prevent the rise of one of the 8 Antics back on Earth to destroy it. You may not get bonus points if you’re playing this game only using candle lights. We don’t think this game is appropriate for those who have heart problems or want to spend a whole Halloween night in a haunted house. This game will definitely give you the chills but its addiction is quite scary.